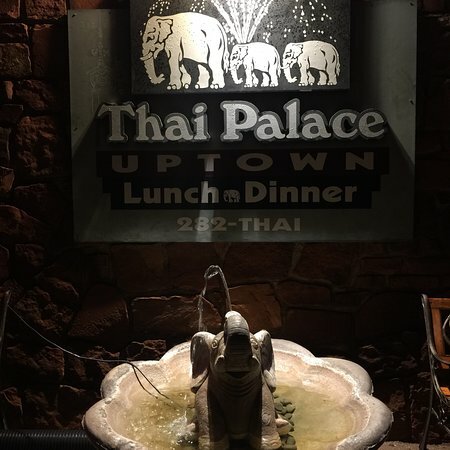 Thai Palace Uptown: развлечения поблизости. Served daily all entrees served w/ your choice of chicken, pork, beef or tofu. Additional $3.00 for shrimp. 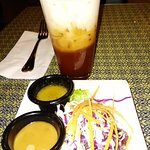 Lunch includes our garden salad w/ homemade peanut sauce dressing. Spice is rated on a 5 star basis, from mild to thai hot! 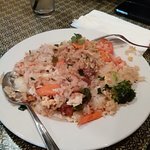 Authentic thai fried rice w/ mixed vegetables & eggs. Served w/ tomatoes & cucumbers. 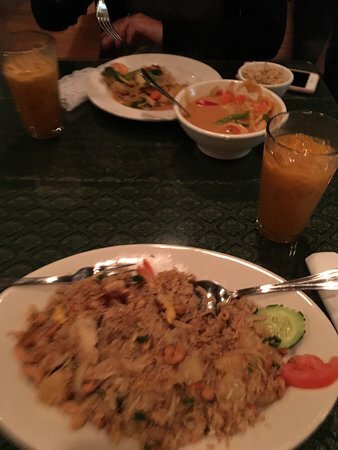 Authentic thai fried rice w/ red curry mixed vegetables. Stir-fried rice noodles w/ eggs, bean sprouts & crushed peanuts in a special sauce. Stir-fried transparent noodles w/ mixed vegetables w/ egg. Stir-fried flat noodles w/ red chili paste & fresh vegetables. Stir-fried flat noodles w/ eggs, bean sprouts, & green onions. Thai curry w/ coconut milk cream sauce, w/ onions & red bell peppers. Two rolls w/ transparent noodles, carrots, celery & cabbage. Four chicken slices marinated in yellow curry powder, barbecued on bamboo skewers. Served w/ peanut & cucumber sauce, & toast. Fried crispy noodles w/ chicken & eggs. Served w/ homemade sweet & sour sauce. Spread w/ marinated ground chicken & deep fried. Served w/ homemade sweet & sour sauce. Deep-fried tofu served w/ house sauce, topped w/ crusted peanuts. Shrimp marinated in special sauce, stir fried w/ garlic. Served w/ fresh salad. Thai herbs in a coconut milk made w/ lime juice & fresh mushrooms. With galanga root lemon grass & fresh mushrooms. Fish (with fresh shellfish & other seafood). Won ton wrapped w/ ground chicken in a clear broth. Noodles soup fresh ginger w/ silver noodles & vegetables. (Kuaytiaw naam) rice noodles soup w/ mixed vegetables in special sauce. Mixed green salad w/ onions, carrots, cucumbers, tomatoes, mandarin oranges, olives, & cabbage. Fresh green salad w/ cucumbers, tomatoes, red onions, & carrots. 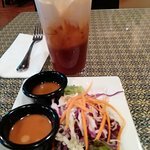 With your choice of peanut curry sauce or honey lemon. Fresh green salad made w/ chicken, shrimp, & eggs. Served w/ homemade sauce, or honey & crushed peanuts. Grilled shrimp seasoned w/ spice hot-n-sour sauce. Barbequed beef w/ red onion & mint in special sauce. Special ground chicken mixed w/ homemade sauce. Served w/ cabbage. Transparent noodles made w/ ground chicken, mixed w/ special sauce. Fresh green papaya. Shredded raw carrots mixed w/ ground peanuts, tomatoes, chili, & lime juice. Please note: any "add -on's” to menu items are an additional charge we reserve the right to refuse service to anyone. 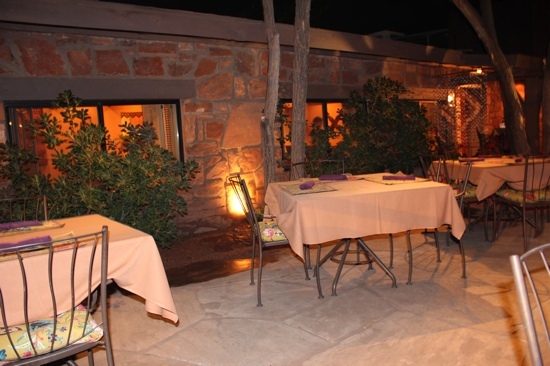 An 18% gratuity may be added to parties of five or more. 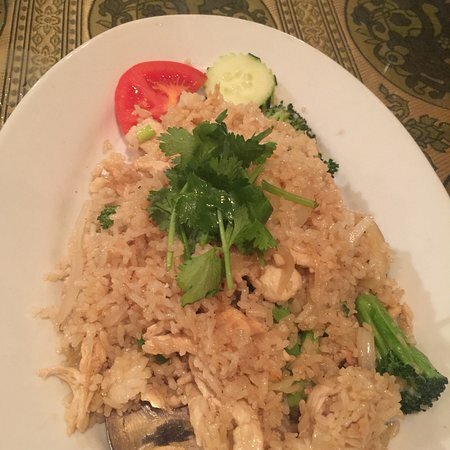 All entrees served w/ jasmine rice & your choice of chicken, beef or pork. 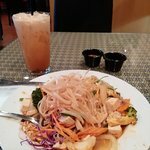 Additional $5.00 for shrimp spice is rated on a 5 star basis, from mild to thai hot! All prices are subject to change. Sautéed fresh broccoli w/ garlic sauce. Sautéed fresh ginger w/ carrots, onions, bell peppers, & mushrooms. Sautéed garlic w/ mixed vegetables. Made w/ light special sauce. Tomatoes, onions, bell peppers, & pineapple in sweet & sour tomato sauce. Sautéed onions, bell peppers, carrots, & cashews in special thai sauce. Meat (your choice) sautéed in garlic & pepper. Served over fresh lettuce. Stir fried w/ teriyaki sauce & sesame seeds. Sautéed onions, carrots, garlic, & bell peppers in thai chili paste. Sautéed garlic, onions, green beans, jalapenos in thai basil chili sauce. Spice is rated on a 5 star basis, from mild to thai hot! All prices are subject to change. Stir fried rice noodles w/ eggs, bean sprouts, & crushed peanuts in special sauce. Stir fried transparent noodles w/ mixed vegetables & eggs. Stir fried noodles w/ red chili paste & fresh vegetables. Stir fried flat noodles w/ eggs, bean sprouts, & green onions. Stir fried flat noodles w/ eggs, carrots, broccoli, & cabbage in black bean sauce. Flat noodles w/ gravy, vegetables, & meat. Stir fried rice w/ meat, eggs, & vegetables. Stir fried rice w/ red curry & vegetables. Authentic thai fried rice made w/ chicken, shrimp, eggs, & cashews. Prawns stir fried w/ roasted chilies & vegetables in special sauce. (Kung thawt raat phrik) crispy shrimp w/ curry sauce & vegetables. Crispy fish‏ covered w/ pineapple, onions, bell peppers, carrots, & ginger in sweet & sour sauce. Fish cooked in ginger & mushroom sauce. Crispy fish w/ curry sauce & vegetables. Steamed fish & other seafood w/ ginger sauce & vegetables. With pineapple, onions, carrots, mushrooms, & fresh ginger. Crispy shrimp & vegetables served w/ special sauce. Бывало и получше... Ничего особенного. Не почувствовал ничего оригинального в супе на кокосовом молоке(. Я дома лучше готовлю. На троечку с натяжкой. Поздно ночью (> 9 вечера в Седоне) ужин. Очень хорошее качество еды. Ничего слишком острое. Персонал работает очень усердно, всегда на вынос. Цена соответствующая. Снаружи двора, фиксирующегося летом, очень расслабляюще. Я никогда не заботился о тайской еды. Теперь мне очень нравится. Это было таким образом, вкусно и не тяжелые как китайская еда. Настоящее удовольствие. Честно говоря, обслуживание было хорошим. Но еда была нормальной в лучшем случае. Тайский жареный рис выглядел и на вкус как жареный рис Янчжоу. Красное карри было лучше. Манго клейкий рис был с переваренным рисом и сток манго.То, что мы заказывали, не было настоящим вообще. Очень вкусно! Плюс отличное обслуживание. 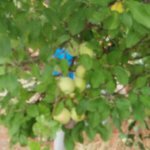 Чудесные блинчики с начинкой и суп. Хорошая обеденная атмосфера снаружи в течение дня и вечера внутри у камина. 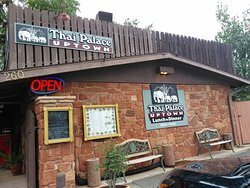 Получите быстрые ответы от сотрудников и посетителей (Thai Palace Uptown).